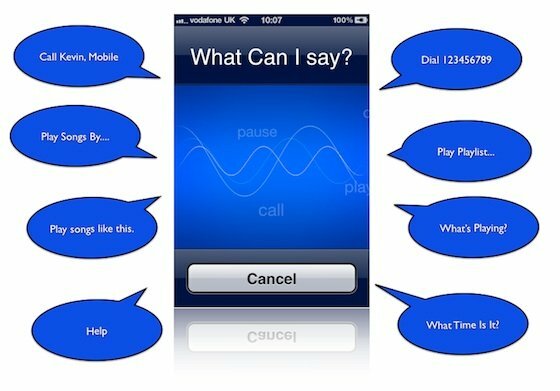 Now you can talk to your smartphone, thanks to new application. Adding appointments to your calendar, making phone calls or navigating to specific apps are the simple, common tasks. Pay attention to the OS of your phone and the third-party applications you order, if you want additional functions. There is a new voice command functionality on the iPhone 4S. It makes device incredibly smart. You will be surprised with numerous commands, which are accepted by phone. You can add data to your apps, answer questions about the weather and take dictation for emails and text messages using only your voice. Earlier, you couldn’t order them to do much more than control your music or place phone calls, because iPhones featured limited voice control systems. The voice control functionality on Windows Phone 7 and Android phones hasn’t evolved much also, but they do accept for setting your alarm clock or dictation for composing emails. The BlackBerry provided only limited functionality, such as commanding the device report the battery level or to place phone calls. On all of these platforms activating voice recognition is a pretty similar process, although some steps may vary a bit. A tap on an icon opens a third-party appllication and a long button press starts the built-in voice recognition on most phones. Typically, third-party applications require a second tap take dictation for processing or to record voice commands. Third-party apps are offered by each smartphone platform. They can enlarge your smartphone’s built-in functionality. On iPhones and BlackBerrys without Siri, Dragon Dictation can be used for dictated text recognition. By embedding the dictation directly into an email message you can make Dragon Dictation for BlackBerry work better. You can command instructions for Internet searches on the Windows Phone 7, iPhone and Android with Dragon Go! The Iris app is an answer to Siri from Android. New apps are regularly added to inventory of the Android Market. You can explore the top-rated alternatives in the Market if the Iris app or a built-in Android functionality doesn’t provide the extras you require. There are distinct differences in convenience among the devices while you can dictate emails and text messages on Windows Phone 7, Siri or Android. Starting a test message or email using Siri is very easy you just need to command “Email (Recipient’s Name) that…” OS of your phone will detect your ability to start a message on the Android. A more standardized experience is offered by Windows Phone 7: you just press and hold the “Start” button, then tell your voice command. Even the most high-end voice-control application will provide a limited ability to understand spoken commands and there is no matter what phone you use. iPhone 4S is ranked as the best among natural-language understanding system. So you can formulate your ask in a lot of ways. However, if you want your smartphone to understand your commands as a professional valet, you’re expecting too much. Nevertheless, you still have to learn which command sets and phrasing work best on each platform. Anyway future is coming. Who knows what tomorrow will bring us.